An accurate understanding of executive functions and dysfunctions is a core competency for the mental health practitioner. The ability to rapidly identify processing disorders and make targeted treatment recommendations is one of the professional skills which separate the good from the great. Attend this seminar and gain a wide range of concrete skills including assessment of processing and organisational deficits from multiple perspectives, and managing symptom overlap among related disorders. An accurate understanding of executive functions and dysfunctions is a core competency for the mental health practitioner. The ability to rapidly identify processing disorders and make targeted treatment recommendations is one of the professional skills which separate the good from the great. This seminar focuses on a wide range of concrete skills including assessment of processing and organisational deficits from multiple perspectives and managing symptom overlap among related disorders. You will be able to think clearly about the common “Bipolar or ADHD?” assessment question. By the end of the seminar you will know how to avoid the most common diagnostic error in executive dysfunction assessment. The goal for this seminar is that you will be confident in presenting this material to clients, parents, or peers. Impact of DSM-5® changes on diagnosis. 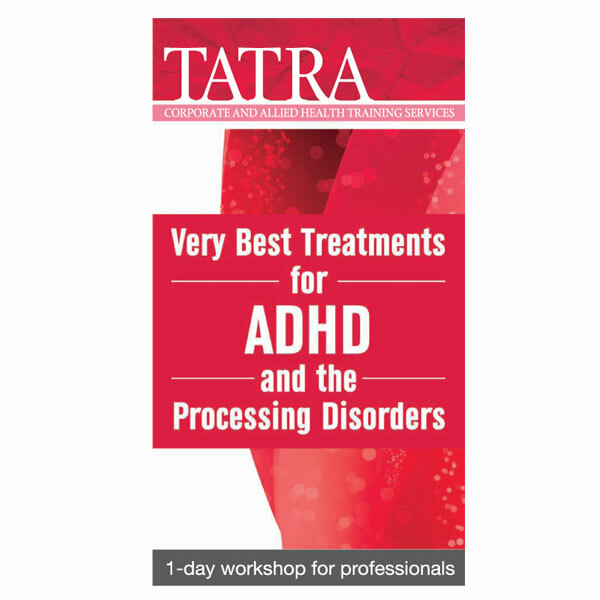 A “toolbox” of developmentally appropriate targeted interventions for the executive dysfunctions associated with ADHD, Sensory Processing Disorder and Central Auditory Processing Disorder.